The North Face/National Geographic climbers are nearing the end of their wait. Talk about patience! The weather seems to be allowing a small window at the end of the "season" for some ascents. 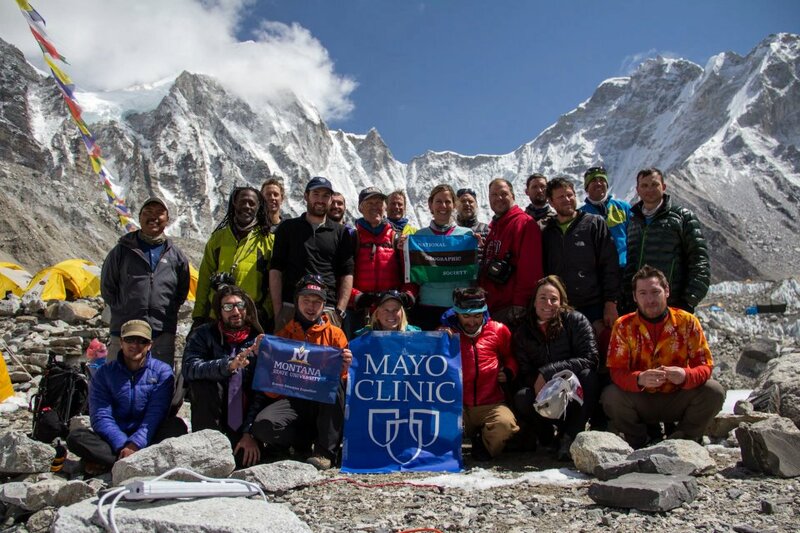 The Mayo expedition team members, now back in Minnesota, [see TV interview with Dr. Bryan Taylor] will be watching with great interest over the next week as the climb is set to begin on the 21st. Before the researchers left for home, all the expedition members -- from Mayo, the North Face, National Geographic and Montana State University -- gathered for a final photo.